This award-winning graded readers series is full of original fiction, adapted fiction and factbooks especially written for teenagers. Andy and Mary are twins. 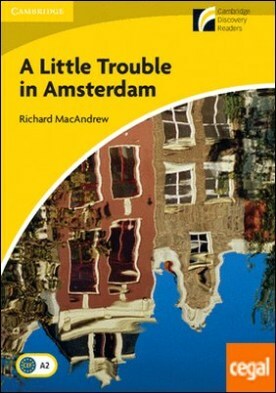 During the school holidays, they accompany their mother on a business trip to Amsterdam. Andy and Mary witness what they believe to be two criminals hiding a painting from an art robbery. But they can’t prove anything and nobody will believe them. This paperback is in British English. Download the complete audio recording of this title and additional classroom resources at cambridge.org/experience-readers Cambridge Experience Readers get teenagers hooked on reading.